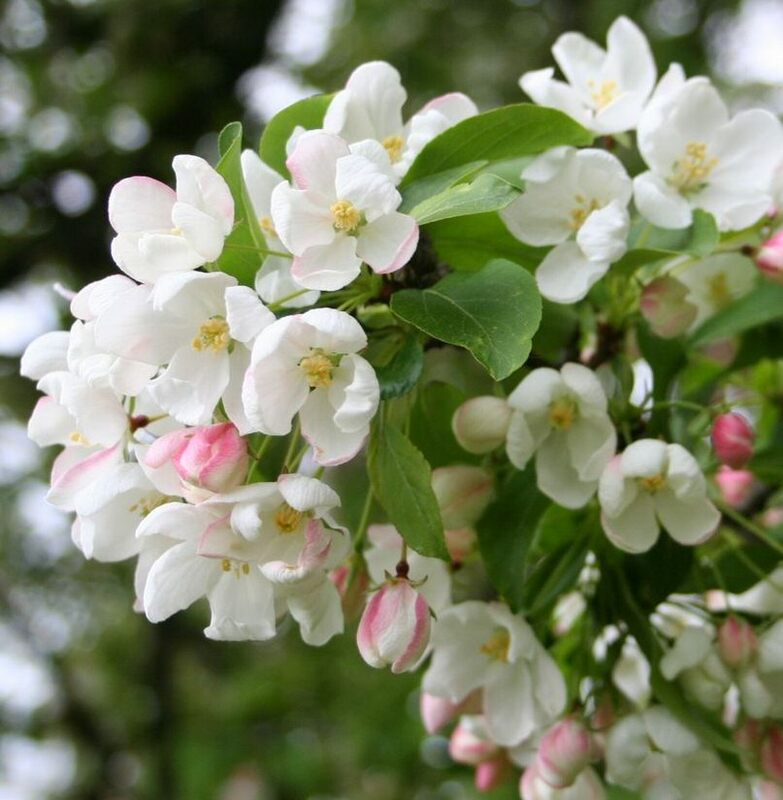 This is the true Siberian crab apple tree (Malus 'Baccata') and also known as the Baccata crab apple. This tree has a rounded crown with oval, finely toothed dark green leaves leaves. A profusion of white fragrant cup-shaped flowers in spring are followed by small egg-shaped red or yellow fruits. Native to North-East Asia.